When Lizzie Borden axed her stepmother and father to death in 1892 it was unthinkable that a woman of such upbringing could commit such vicious crimes. The savagery of the murders set her free. FALL RIVER, Mass, Aug. 4 -- Andrew J. Borden and wife, two of the oldest, wealthiest, and most highly respected persons in the city, were brutally murdered with an ax at 11 o'clock this morning in their home on Second Street, within a few minutes' walk of the City Hall. The Borden family consisted of the father, mother, two daughters, and a servant. The older daughter has been in Fair Haven for some days. The rest of the family has been ill for three or four days, and Dr. Bowen, the attending physician, thought they had been poisoned. The horrific axe murders of Andrew Borden and his third wife, Abby, would have been shocking in any age, but in the early 1890s they were unthinkable. Equally unthinkable was who wielded the axe that butchered them an hour or so apart in their own home. 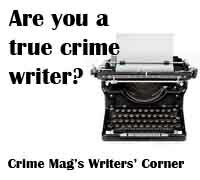 The idea that the murderer could possibly be Borden's 32-year-old daughter Lizzie took days to register with the police – despite overwhelming physical and circumstantial evidence that pointed only at her. Nine months later a jury, unable to fathom that a woman could commit such vicious crimes, would find a way to ignore the evidence and set Lizzie free. By no means had Lizzie Borden committed the perfect crime. The police were quickly able to dispense with the possibility of an outside intruder carrying out the murders. Lizzie – her alibi fraught with inconsistencies – was the only suspect. She alone had both the motive and the opportunity. What would end up saving her was the remarkable violence of the murders: The murders were simply too grisly to have been committed by a woman of her upbringing. 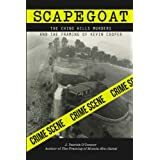 The Borden mystery is captured within a web of falsified statements, suppositions, assumptions and public opinion, all of which revolve around a missing weapon that actually never was missing, a blood-stained dress that was never found, and a young woman's previously impeccable character. Even today, crime historians remain divided about Lizzie's guilt. The viciousness of the murder scene did contrast sharply with the image of Lizzie: a civilized, upper-middle-class woman who had never married and who had lived at home her entire life. Lizzie's father, Andrew Borden, was originally an undertaker. Even then he was known to be stingy and tight-fisted, and rumors floated about town that he forced corpses into coffins with bent knees to save on the cost of wood. Later he would become a bank president and a mill director. Financially well off for the time period, his net worth figured at over $300,000. Instead of making his home on "the hill," where the community's financial elite resided, the Bordens lived on Second Street in Fall River in a starkly furnished house that featured kerosene lamps and two running cold-water faucets. The only toilet was in the cellar, but it was rarely used. Instead each room had a chamber pot that was emptied in the morning into a slop pail that was in turn emptied onto the back lawn. Andrew's reputation in town, whispered of course, was that of Scrooge. Lizzie was a self-conscious woman with reddish-brown hair and extremely light blue eyes. Wide shouldered with a thick waist, she was cursed with a coarse, sallow complexion and rather heavy jowls. Her manners, though, were impeccable: She was polite to hired help and to anyone she met, and was known for her kindness to animals. While she was socially handicapped and made few friends, it could not be said that these traits were caused by an evil or especially disagreeable temperament. Though Lizzie was known to be a conversationalist, she did tend to sulk, refusing to speak to someone for days, if she felt angered or offended. She may have suffered from migraines, as her mother did before her, and on several occasions her close relatives and acquaintances spoke of her "spells." That her spells nearly always coincided with her monthly menstrual cycle was not something that was understood in 1892. In any regard, no one spoke of such matters and the common belief was that women suffering spells were almost always "crazy." The author Lincoln further suggests that Lizzie suffered from what is now known as "temporal epilepsy." It's doubtful such a claim could be scientifically proved, but that Lizzie suffered from occasional "brownouts" is verified in both her police and court records. Still the fact remains, that for two weeks prior to the murders, Lizzie had attempted to purchase prussic acid – supposedly to use on Abby. Being a well brought up young woman, Lizzie was unaware that arsenic was available over the counter, without a prescription, as was required for prussic acid. The murders occurred at the Borden home on a sweltering summer morning, Thursday, Aug. 4, 1892. By mid-morning, the family members and maid were about their chores; Abby was busy making the bed, while Andrew readied to go downtown. On his way out, Andrew passed Bridget, the maid, as she began to wash the windows, starting with the outside. Lizzie, claiming an upset stomach, wandered aimlessly about. Emma, the older sister, was away visiting, and their overnight guest, Andrew's brother-in-law from his deceased first wife, had left to visit his niece. Andrew normally remained downtown to take care of business and collect his rents until around 11 a.m., when he would return home for lunch and be back at work by 12:30 p.m. But on this day, he came home an hour and a half early. He first sat down in the dining room, and then after making himself a bit more comfortable, moved into the sitting room to avoid Bridget's window cleaning. He reclined on the sofa with his legs from the knees down dangling off the edge. Abby, who almost always spent her mornings downstairs, did not appear when he came home. Instead, Lizzie came down, dressed in a heavy bengaline silk dress, an outfit consisting of a navy blue skirt with pale blue print and a separate blouse. Such a heavy dress was an odd choice on a day when the temperature had already risen to 89 degrees by 7:30 in the morning. According to proper etiquette at the time, women wore a "street" dress only for going out. Was Lizzie on her way downtown to establish an alibi but was prevented from doing so by Andrew's unexpected early return? Bridget, her chore completed but not feeling well, came inside and went up to her room to lie down. Bridget was awakened a short while later by Lizzie's shout that her father was dead. Andrew's body was found on the sofa, his right cheek resting on a cushion and an afghan he had propped beneath his head. Though his face tilted upward, what remained of it was nearly unrecognizable as human: One eye had been cut in half and protruded from its socket, his nose had been severed and 11 gaping gashes concentrated upon the left side of his face. Andrew's blood still ran bright and fresh as police arrived. Confusion reigned. First doctors were summoned and then the police. During the minutes immediately following the discovery of Andrew's lifeless body, doctors, police and neighbors came in and then left again. A short time later, Lizzie remarked on Abby's absence and suggested that someone might want to look for her. Abby was found upstairs in the guest room, lying face down in a pool of blood, her head nearly separated from her shoulders by a blunt instrument. Because of the location of one of the wounds, forensic experts surmised she might have seen her attacker as the first blow was delivered. Upon further examination, Dr. Bowen discovered her head had been nearly crushed by 19 axe or hatchet wounds in the back of the skull. One wound at the back of the neck was misdirected, the blow cutting a flap of skin from the back of her scalp. Because of a lack of blood splashes on nearby walls or furniture, it became common conjecture that Abby died from the first blow; her heart stopped pumping blood, thereby resulting in very little blood spatter for such horrific wounds. The police instructed the maid to show them any axes or hatchets the Bordens used on the property. The police brought several up from the cellar, one coated with dried hair and blood (which later proved to belong to a cow). From the fruit cellar she produced a claw headed hatchet stained with rust. She then produced a box from the cellar that contained two hatchets, both covered with a layer of fine dust. Because Abby's blood had already turned thick and coagulated, the police, with the aid of the doctor's expertise, were certain that Abby had been murdered at least an hour before Andrew. But how could the murderer have escaped the house undetected? The front door remained bolted and locked from the inside. Lizzie claimed she had been in the yard but then changed her location to the barn. Either way, the police did not think it likely that the murderer could have escaped out the back door without her seeing him. Abby had been hacked by someone who probably had stood straddled over the body after the initial blow had knocked her down. Her blood splashed forward, but not very high or wide, and only one tiny spot of blood stained the bedspread beside her. The wall in front of her sustained little spatter, and that limited to the baseboard. Common consensus among the police was that the murderer need not have been splattered by much blood in such a scenario, that perhaps only the area below the knees would be prone to blood splatter. Very little blood spatter marked the walls in the sitting room either. Andrew's blood had dripped onto the carpet, but no blood spattered the small table near his head. On the wall behind the sofa, there was some evidence of splatter in the shape of little pearl drops. One policeman then noticed that Andrew's Prince Albert coat appeared wadded up beneath his mangled head, crammed between the sofa and pillow. Yet anyone who knew Andrew knew he would never treat his coat to such abuse. It is entirely possible that the murderer slipped the coat off the rack and put it on so that it would catch the blood splatters and then shoved it beneath his head to account for the blood splatters on it. A short time later, the police reexamined the box of tools and axes that had been tucked on the ledge near the chimney in the cellar. In it they found a hatchet head – not dusty like the other two – but covered with what appeared to be white ashes in what police considered a possible attempt to disguise it to look similar to the others. 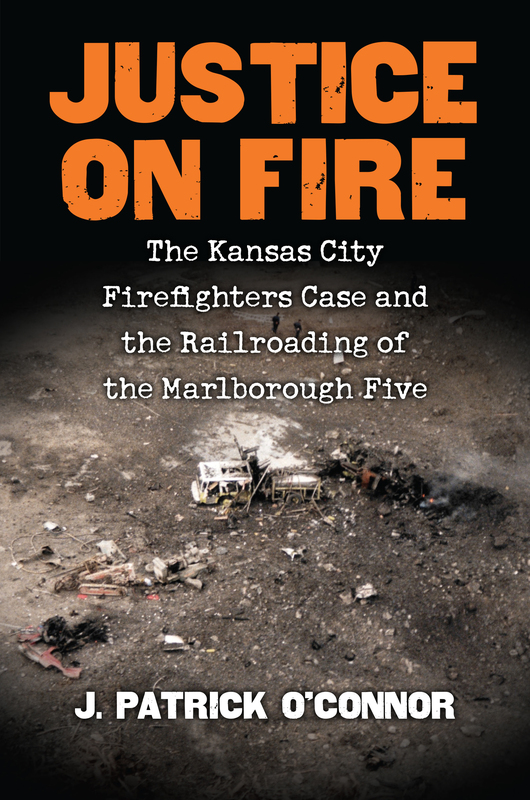 Although it was a sweltering August day, a blazing fire was in progress in the kitchen stove. It was the house itself that spoke so strongly against Lizzie's claim that someone from outside the house murdered her parents. Six people lived in the cramped two-and-a-half story home with interconnecting doors and thin walls. It would have been difficult to stifle the sound of a scream or the crash of overweight Abby as she fell to the floor upstairs. The Fall River police checked the house and found the front door, the back screen door, the basement door and most of the bedroom doors locked. 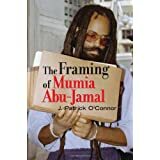 To give the police their due, they made a determined attempt to eliminate any possible outside suspects before considering the distant possibility of the murders being an inside job. Lizzie claimed that she had last seen her father falling asleep in the sitting room. She then claimed she had spent some time in the barn loft, but an officer who went to look at the loft found no evidence of her having been there. Dust laid thick and undisturbed upstairs in the loft, not to mention the heat made the place almost unbearable. As the bodies lay under sheets in the dining room, one of the doctors performed a partial autopsy while a five-man team thoroughly searched the house from attic to cellar. They found nothing else to indicate the identity of the assailant. The broken handle of the axe was never found, nor was any blood found in any of the other remaining rooms. Perhaps it was inevitable that Lizzie would become the prime suspect, especially after the police learned she had made several unsuccessful attempts to buy prussic acid during the two previous weeks. And then there was the persistent problem of her shaky and ever-changing alibi. During the following hours and days, Lizzie's rendition of the facts changed so many times that not only the police, but also her lawyers and the public at large were left to wonder if any of her statements were true. After the police determined there was no possibility a murderer could have escaped the house undetected, a logistical impossibility according to the many witnesses out and about on the street that morning, Lizzie was ultimately considered the lone suspect and placed under arrest. The Fall River Police Department Arrest Log Book for 1892 shows that Lizzie was booked and charged with "murder of father." Q. Where were you when your father came home? A. I was down in the kitchen. Reading an old magazine that had been left in the cupboard, an old Harper's Magazine. Mere seconds later, District Attorney Knowlton asked if she was sure. Still minutes later the question was asked again. Q. Where were you when the bell rang? A. I think in my room up stairs. Q. Then you were up stairs when your father came home? A. I was on the stairs when she (Bridget) let him (Andrew) in ... I had only been upstairs long enough to take the clothes up and baste the little loop on the sleeve. I don't think I had been up there over five minutes. Q. …you remember that you told me several times that you were downstairs and not up stairs, when your father came home? You have forgotten, perhaps? A. I don't know what I have said. I have answered so many questions and I am so confused I don't know one thing from another. I am telling you just as nearly as I know. The D.A. tried once again to get the facts. Q. …Which now is your recollection of the true statement, of the matter, that you were down stairs when the bell rang and your father came in? A. I think I was down stairs in the kitchen. Q. And then you were not upstairs? A. I think I was not because I went up almost immediately, as soon as I went down, and then came down again and stayed down. And so it went. While awaiting trial, Lizzie spent nine months in the Taunton Jail, though it was hardly a stint of hardship for her with such amenities as daily strolls and catered hotel food for her meals. Lizzie Borden's trial began on Monday, June 5, 1893 in New Bedford, the county seat of Bristol County, 15 miles from Fall River. She was indicted on three counts: the murder of Andrew Jackson Borden, the murder of Abby Durfee Borden, and the murder of Andrew and Abby Borden. Two prosecutors presented the bulk of the state's case, D. A. Hosea Knowlton and his new assistant, William H. Moody, for whom this was his first trial. Their presentation focused on three major points: a burned dress, a hatchet with a missing handle, and Lizzie's whereabouts at the time of the crime. The prosecution, according to Edward Radin's Lizzie Borden: The Untold Story, got off to a bad start when the inexperienced Moody called Thomas Kieran, an engineer, as its first witness. The state had retained Kieran to take precise measurements and drawn the floor plan of both the downstairs and upstairs rooms on the Borden house. 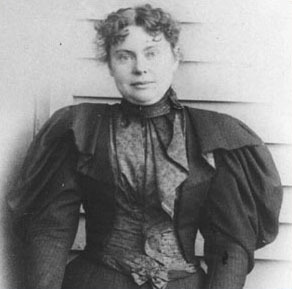 With Kieran on the stand, Moody opened the second day of trial by stating: "The prisoner (Lizzie Borden) from the hall above made some laugh or exclamation. At that time, gentlemen, Mrs. Borden's body lay within plain view of that hall" and Lizzie must have been able to see it as she climbed the stairs. Kieran did not concur. He testified that he had had his partner lay down on the floor in an approximate location where Abby Borden's body had been found and that he could only see the body from one particular spot on the stairs, and only if he looked carefully. Another blow followed when another prosecution witness, Dr. Seabury Bowen, the Borden family doctor, testified that he had given Lizzie doses of morphine after the murders, during her initial hearing, and throughout her stay at the jail. The defense immediately pounced upon that bit of news and protested that the effects of such medication, though given to calm her nerves, could have perceptibly altered Lizzie's recollections and view of things, thus accounting for her often contradictory statements. The prosecution's rout of itself resumed in full view of the jury when the prosecution introduced the axe head from the alleged murder weapon. The prosecution attempted to show that the axe head found in the box with the other two had been disguised with ashes to blend in with the others and that its missing handle had left freshly sheared bits of wood protruding from the axe head. The prosecution postulated that the fact that the handle was missing seemed to point to someone within the house not only having had access to it, but to destroy it as well. As intriguing as this speculation may have sounded to the jury, it didn't get to dangle long before a prosecution witness would knock it down. When Dr. Edward Wood of Harvard Medical School was called to testify regarding the forensic findings from the hatchet head, he said all the stains on the hatchet had been tested by chemical and microscopic methods with negative results. No blood. He also stated that he had removed a portion of the wood from the broken handle in the eye of the hatchet and tested it with iodine of potassium, which removes blood pigment. Again, no traces of blood were found. He did state that while blood could have been washed off with cold water, it would have had to been done thoroughly and deeply. Police officers testified. Fall River rookie Medley inspected the barn loft where Lizzie claimed she had been at the time of the murders, but testified he found no evidence of anyone having been in the loft – dust lay thick over everything and the solitary window locked. Sgt. Harrington testified that he saw the remains of what looked like rolled papers in the stove. The prosecutions strongest point hinged on Lizzie's own conflicting testimony, which D.A. Knowlton intended to show by calling to the stand Annie White, the stenographer who had recorded the proceedings of Lizzie's initial statements to the police, statements riddled with inconsistencies. Prior to the inquest, Lizzie had been under constant surveillance and had already been informed that she was a suspect. Lizzie's request to be represented by counsel had been refused by the district attorney and the judge. After giving her testimony, Lizzie wasn't allowed to leave and within two hours was placed under arrest. A warrant had been issued before the inquest but was not served – Lizzie wasn't told about the first warrant. The court ruled in favor of the defense, saying that Lizzie had been under virtual arrest at the time of her questioning and that as such her inquest testimony was to be excluded from the proceedings. It was the worst possible ruling for the prosecution, as they were now unable to show the radical swings in Lizzie's testimony. Andrew Jennings, who for years had been Andrew Borden's attorney, was convinced from the outset that Lizzie was incapable of axing her father and stepmother to death, and he quickly took up her case, agreeing to defend her. George Robinson joined him in presenting Lizzie's defense at trial. The defense presentation took only a day and a half. It set out promptly to destroy any credibility of the prosecution's case, knowing that only two lingering points could still put Lizzie in danger: her hatred of Abby and the burning of her blue dress. The plan was to prove that not only was the prosecution's case against Lizzie circumstantial, but totally unfounded. The defense called a number of witnesses who had reported seeing various men in the immediate area of the Borden home on the morning of the murders. One witness said he saw a man delivering ice in the neighborhood, another witness said he noticed a man standing outside the Borden house on the sidewalk for a while, but as he never strayed from the sidewalk, his presence did not make much of an impression. The testimony of these witnesses was essentially conflicting but it did raise the possibility of an intruder in the neighborhood that day. The defense pointed out that the prosecution could not produce the murder weapon. What had happened to it? If Lizzie had never left the house, where could the handle have disappeared? Such supposition cast further doubt in the minds of the jury. Unfortunately, Dr. Wood, upon cross-examination, did nothing to help the prosecution when he replied to a question about the lack of blood splatter. He said he was sure the culprit would have been covered in blood. Lizzie's friend Marianna Holmes testified regarding Lizzie's religious activities, stating Lizzie was a Sunday school teacher for Chinese children, deepening the jury's impression that a staunch Christian woman of Lizzie's sensitivities could never have wielded a hatchet to do more than chop a piece of kindling. Phoebe Bowen, Dr. Bowen's wife, testified that she had been with Lizzie shortly after the murders were discovered and that Lizzie had been pale and faint. She had seen no blood on Lizzie. The defense also had Bridget Sullivan's testimony read, stating that Lizzie was agitated and in tears when the bodies were discovered. But the defense witness that everyone waited with bated breath to hear was presented on the 11th day of the trial. Emma Borden finally appeared, dressed in a black dress, black gloves and black patent leather shoes. Andrew Jennings spoke gently to the older sister, a small bird-like woman with frightened dark brown eyes. To begin, the questioning seemed simple and straightforward, almost boring until the topic of Lizzie's burned blue dress was brought up. Even then, the questions and answers seemed rehearsed, as if it had been agreed upon ahead of time what the two would discuss on the stand. When asked about the dress, Emma said she had told Lizzie, "You have not destroyed that old dress yet. Why don't you?" Emma testified that she was in the kitchen with her friend Alice Russell on the Sunday morning following the murder when she turned around and saw her sister standing by the stove, the dress hanging from her arm. Emma quoted Lizzie as saying, "I think I shall burn this old dress." Emma testified that her reply was: "Why don't you", or "You had better", or "I would if I were you." Emma couldn't seem to remember which it was. She also claimed that she did not hear Russell say to Lizzie, "I wouldn't let anybody see me do that, Lizzie." On the key matter of Lizzie's relationship to her stepmother, Emma testified that relations between Lizzie and Abby were cordial. During his cross-examination, Knowlton pressed Emma on this point, trying to show the jury the thinness of Emma's claim. Knowlton asked Emma when Lizzie ceased calling Abby "Mother." Emma said she could not remember. Knowlton persisted with this question in various forms, asking her 12 separate times. To each version of the question, Emma responded: "I don't remember." Lizzie was not called to testify. When the judge asked her if she had anything to say to the jury, she stood to say, "I am innocent. I leave it to my counsel to speak for me." In summation, the defense told the jury, "It is not your business to unravel the mystery… you are not here to find out the murderer…you are simply and solely here to say, is this woman defendant guilty." In his closing argument, D. A. Knowlton focused once again on the gruesome facts of the crime, reiterating that no one else could have had either the opportunity or the motive to kill the Bordens. Common perception at the time was that while it could be considered "acceptable" for a woman to commit murder by poison, the possibility of such a delicate creature hacking two people to death with an axe was unthinkable. On Tuesday, June 20, 1893, after only an hour of deliberation, the all-male jury found Lizzie Borden not guilty in the murders of Andrew and Abby Borden. During the 13 days of testimony that led to Lizzie Borden's acquittal, the key players had their names splashed in nearly every national newspaper. After the trial, five of them remained in the public eye. Though he failed in his endeavor to convict Lizzie, Knowlton became attorney general of the State of Massachusetts. Andrew Jennings became the district attorney of Bristol County. The Borden sisters also rewarded him for his ardent defense of Lizzie by naming him to the board of directors of the Globe Yarn Mill, one of Andrew Borden's companies. William Moody gained fame when in 1904 President Theodore Roosevelt appointed him attorney general of the United States. Lizzie was acquitted in the courtroom but not in Fall River. In the very town where she sought acceptance, she was ostracized. Twenty-nine days after the death of Andrew and Abby Borden, Emma received possession of the Borden estate. Five weeks after Lizzie's acquittal, the two sisters moved up onto The Hill into a 13-room Victorian house that Lizzie subsequently christened Maplecroft. Seven months after her acquittal, Emma gave Lizzie her share of the inheritance, for all the good it did. Maplecroft became Lizzie's prison and refuge. Over the years the sisters were relegated more and more to their own company, as no one really wanted to befriend Lizzie. In 1897, a warrant was issued for Lizzie, regarding a theft of two paintings from a local gallery. She was told that if she signed a confession, the warrant would not be served, but she stubbornly held her ground and refused to sign until the last possible second. While Emma grew more introverted, Lizzie traveled. It was in Boston that she met and greatly admired Nance O'Neil, a Boston actress. Such a profession was still considered unacceptable to most women's sense of morality at that time, and so when Lizzie gave a lavish party for Miss O'Neal at Maplecroft, Emma became so offended that a rift developed between the two sisters. Emma moved out of the house and relocated to New Hampshire, where she lived without speaking to Lizzie for the next 22 years. In 1926, Lizzie was admitted to the hospital for a gall bladder operation. Three months later she returned to Maplecroft, but she never regained her health. The following year, at the age of 67, she died. Ten days later, her sister died as well. Both are buried together in the family cemetery beside the bodies of Abby, Andrew and Andrew's first wife, Sarah. 1 comment on "How Lizzie Borden Got Away With Murder"
I have read extensively regarding this infamous case and the only conclusion I can reach is that Lizzie was guilty. Given that Mrs. Borden was murdered quite some time before Mr. Borden was argues against an intruder. The layout of the house was curious: there were no hallways. To enter any given room you have to pass through another. Would an intruder have been able to hide laying in wait for Andrew Borden to return while both Lizzie and Bridget were about the house? But it comes back to motive and opportunity; Lizzie had both. If Andrew had planned to change the will, Lizzie's inheritance might be in jeopardy. I believe she killed her stepmother out of rage and her father out of necessity.